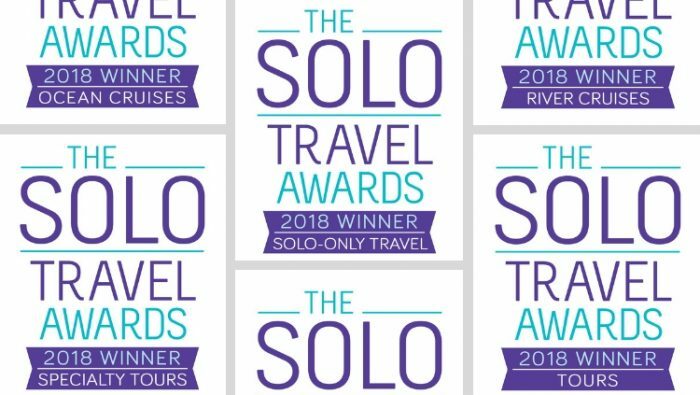 What an exciting year for the Solo Travel Awards. In addition to the original five award categories we added two more. New this year was The World Nomads Solo Travelers Choice Award. 2,974 people voted in the Choice Awards and 10,000 people visited the page to see what companies were vying for the award. This was a win for solo travelers as they discovered new companies that want their business, and for the companies that received free promotions to the solo travel market. See the full roster of tour companies wanting to serve solo travelers here. 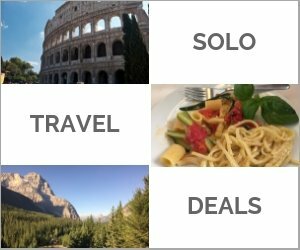 We also added a Solo Only category for tours. In recent years a few companies have begun serving the solo travel market exclusively. We thought they deserved a category of their own so that their unique service can be seen separately. We consider the Solo Travel Awards as part of our responsibility to advocate for solo travelers. 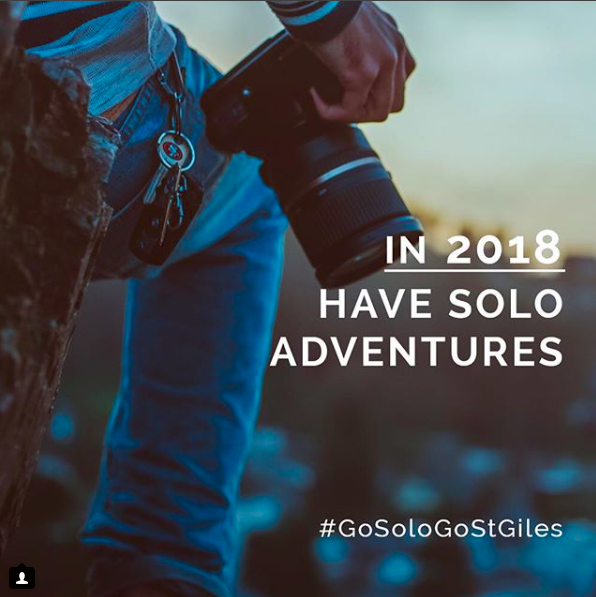 We're pleased that doing so not only showcases those companies that we already know serve solo travelers but has revealed more companies targeting the solo travel market that we had not previously known about. World Nomads jumped in and sponsored the Awards in its first year. That took foresight, an enthusiasm for travel, and belief in solo travel. World Nomads has all three. Yes, they are a different kind of travel insurance company and we are so pleased to have them back as a sponsor of the 2018 Awards. We approached World Nomads because they serve solo travelers well. Our analysis of costs and benefits of their insurance offering shows them to be the best value in many situations. You can read my analysis here: Going Alone? Travel Insurance is a Must. Clothing Arts, makers of Pick-Pocket Proof Apparel, offers the traveler an innovative wardrobe of pants, shirts, and jackets designed to keep you looking good and your valuables secure as you travel. Since 2012, travelers have stopped 74 known pick-pockets red-handed while wearing their travelwear. St. Giles Hotel has hotels in major cities around the world. 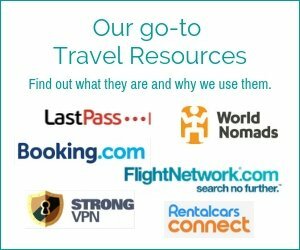 They are enthusiastic supporters of solo travel and cater to solo travelers with their Go Solo. Go St Giles program. We are very proud to have had the support of some very distinguished travel experts who stepped up to act as judges for the Awards showing how important they think the solo travel market is. Spud Hilton is the travel editor of The San Francisco Chronicle, where since 2000 he has written about (and been hopelessly lost in) destinations on six continents. His attempts to defy the expectations of places — from Havana’s back alleys to Kyoto’s shrines to a hippie bus in Modesto — have earned 11 Lowell Thomas Awards, the standard for travel journalism. Spud also writes a biweekly column at SFChronicle.com, and his travel tip videos and #CarryOnShame campaign have been featured by Peter Greenberg, Rudy Maxa, “GMA,” “The Today Show” and “Quest Means Business” on CNN International. 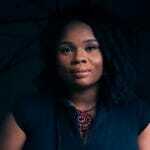 Award-winning writer and photographer Lola (Akinmade) Åkerström has photographed and dispatched from 60+ countries for various publications. She is the 2018 Travel Photographer of the Year Bill Muster Award recipient. Her photography is represented by National Geographic Creative. Her work has appeared in National Geographic Traveler, BBC, CNN, The Guardian, Travel + Leisure, Slate, Travel Channel, Lonely Planet, Fodor’s, National Geographic Channel, several in-flight magazines, amongst others. 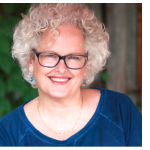 Some of her articles and photography have been syndicated on MSNBC, Slate, Yahoo, New York Daily News, Chicago Sun Times, Huffington Post, and Time Warner. 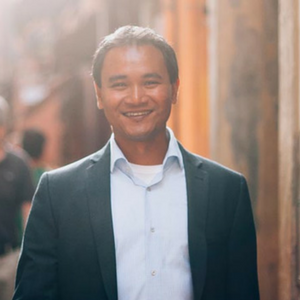 Keith Jenkins left his ten-year investment banking career to travel the world and carve out a new career as a travel blogger and social media advocate. He is the Founder and Publisher of the Velvet Escape luxury travel blog and Founder and CEO of iambassador, an Amsterdam based social media and marketing services firm that harnesses the strengths of a global network of elite travel influencers to offer innovative digital marketing campaigns and compelling content. Keith has visited more than 70 countries across six continents. He often speaks at travel and social media conferences. 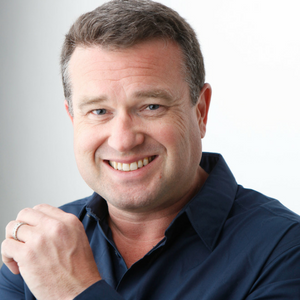 He is also the co-founder of the Global Bloggers Network, a community of more than 3,000 travel bloggers. Keith has been featured in The New York Times, BBC Travel, Lonely Planet, and National Geographic Traveler, and has spoken at TEDxTalk. Su Höller has traveled solo since she was 21, is an avid member of the Solo Travel Society on Facebook and contributor to Solo Traveler. Her solo travel career started after graduating from tourism college when she embarked with a friend on a work-holiday mission to Australia. After completing their working contract, they were supposed to travel to Cairns. The night before they were due to leave, her friend cancelled. And so at 21 years young and no travel experience at all she went for the adventure and since then the solo traveler bug never left her. She as climbed over high passes in Ladakh, discovered the beauty of Costa Rica, went on a road trip along the northern tip of Scotland and savored Florence with all her senses. When not travelling Su works with the Graz Tourist Office and is responsible for Destination & Influencer Marketing of Austria’s second largest city. 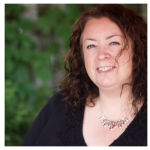 Tracey Nesbitt is the Editor of Solo Traveler, the leading solo travel website, and a writer with a passion for discovering destinations through food and wine. An ardent solo traveler, she loves to write about her discoveries (and sometimes, misadventures) as she explores the world. 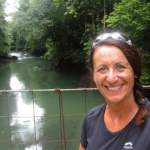 As Moderator of the Solo Travel Society on Facebook, Tracey facilitates the sharing of tips, advice, and encouragement among the 225,000 community members and has developed a keen understanding of the wants and needs of those who choose to travel alone. Adventure Canada is a family-run travel company with thirty years' experience specializing in small-ship expedition cruises to the world's more remote coastlines. We engage, educate, and entertain by connecting people to each other and the land through travel; we travel to the best places, with the best people, in the best way. Our pioneering approach to expedition cruises and small-group experiences emphasizes wildlife, culture, learning, and fun. Solo travellers can choose from a range of destinations: from circumnavigating Newfoundland, to spotting polar bears and narwhals in the Arctic, to following in the footsteps of the Vikings in Iceland, with the comfort of traveling independently but with a group of like-minded travellers. Adventure Canada offers a limited quantity of cabins with no single supplement, based on availability. Once these cabins are sold, the single supplement is 1.5 times the berth cost, should travellers not wish to room-share. 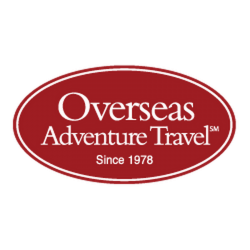 Overseas Adventure Travel offers small group, immersive adventures for travelers aged 50 and older. With its small-scale travel philosophy, OAT limits groups to 10-16 travelers on land and 14-25 by ship (up to 4 groups). On every trip, their travelers engage with local people in schools, farms, homes, and places where locals gather. 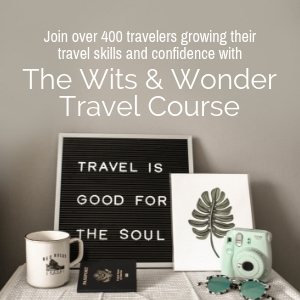 OAT travelers are curious people (1/3 were/are teachers or educators) and interested in rolling up their sleeves and experiencing what life is like in destinations worldwide. They currently offer 65 small group adventures by land and small ship—up from 35 offerings in 2014. There is no single supplement on 25% of the spaces on their land adventures and hundreds of pre-and-post trip optional extensions. Free or low-cost single supplements are also available on their Small Ship cruises. Pravassa - Pravassa provides a more meaningful way to travel. As the pioneer of wellness travel, our programs are vetted, curated, exceptionally crafted travel experiences. Pravassa knows that wellness travel can be a deeply personal experience. Therefore when the company was founded 9-years ago we made a conscious decision not to sell "Single Rooms" or add a "Single Supplement" fee to our offerings. Instead we offer Private Rooms, a space to return to at the end of each day in order to sit with yourself and your thoughts. We are hyper connected in today's world and having alone time is a self-care restorative practice. We set aside 70% of our rooms on group tours as private and they are always the first to sell out. Experience My France - Although tiny, we plan and organize completely private tours. These tours are tailor-made, designed with the guest in mind. Every trip is different! We start with a minimum of one guest and up to 8 maximum. We welcome solo travellers and we do not charge extras either. Guests are not just travelling among locals, they are living as a local on their trip with us. Guests are hosted by Véronique at her mansion in Aveyron, France which is very specific to this unique travel experience. That means no hotels either as her home is theirs for 10 days. Our main restriction is geographical as all trips are within 150 km a day from our Aveyron base. Good to know, our tours could be more or less active as our offerings are almost endless. Véronique is the perfect guide (and driver too) as being an Aveyron local, bilingual and bi-cultural. She will open doors for guests, they wouldn't be able to open on their own. When she isn't touring in France, Véronique lives in the Canadian Rockies. She is the Chief Experience Organizer (CEO) when designing entirely customized tours. Encounter Travel was founded on a simple idea; that solo travelers could join travel groups with like-minded travelers without being on the fringe of groups made up of couples. Back in 2006, they stepped in to fill the void for solo travelers, launching a travel company dedicated exclusively to solo travelers. They offer tours, cruises, resorts packages and walking tours. Their travel offer includes age-matched groups primarily serving solo travelers 45 years and over but they also have offerings (albeit fewer) for the age group under 45 years. Also, there more recent addition, ‘solos mix’ offers an open age range for all solo travelers. Celestyal Cruises is the only home-porting cruise operator in Greece and the preeminent cruise line serving the Greek Islands and East Mediterranean. The company operates four mid-sized vessels that provide genuine and highly personalized services. Every 3, 4, or 7-day cruise focuses on true cultural immersion, offering authentic, lifetime experiences both onboard and onshore. 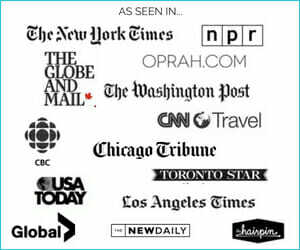 Celestyal Cruises is committed to the solo travel market by consistently offering ongoing campaigns with 'No Single Supplements & Own Stateroom' on the majority of our 3, 4, and 7-day sailings, in addition to our generous standard 30% solo traveler supplement which is 70% less than the majority of cruise-lines. To support this commitment, our company offered ‘No Single Supplement' on all 12 Cuba departures in 2018. With our all-inclusive cruises, the lost onboard revenue issue that drives the excessively high supplements on major cruise-line does not factor. Vantage invites you to cruise Europe’s greatest rivers aboard our own deluxe fleet of award-winning 5- and 6-star vessels. Vantage now offers the best value for everyone — from solo travelers to those traveling with friends and family. We’re the only European river cruise company with dedicated solo cabins on board our deluxe fleet, which means you don’t have to pay a Single Supplement and still get a space all your own. Enjoy the same great features as double-occupancy reservations. Space is limited and available on a first-come, first-served! The Transat Solo Collection offers resort holidays in the Caribbean with no single supplement. At most resorts, you'll also enjoy communal tables for sharing meals, free room service and free WiFi. The Solo Collection was designed by experts to provide holiday experiences that are perfectly tailored to vacationers' needs. This collection has been enhanced in the last two years, featuring more hotels and more destinations. Solo travelers now have a choice among 38 resorts, 16 destinations, and 11 countries. Based in Montreal, the company has 5,000 employees. 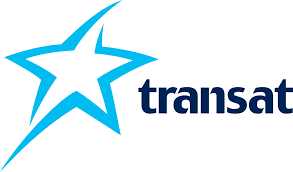 Transat is firmly committed to sustainable tourism development, as reflected in its multiple corporate responsibility initiatives over the past 10 years, and was awarded Travelife Partner status in 2016. The Solo Travel Awards is an exciting but also challenging endeavor for our small team here at Solo Traveler. We're absolutely thrilled with the results, and grateful to World Nomads, Clothing Arts and St. Giles Hotels for supporting us, to the judges for lending their knowledge, expertise and time to determine the winners and to all who entered the awards. We already have plans to refine the Awards for 2019. It is our hope that this healthy competition will result in more and better options for solo travelers.